Derived from the Barnet coat of arms, Unitas which means Unity in Latin was formed. The creative idea was formed by the members of the Young Peoples Development Group who also had the responsibility of coming up with the concept as well as shaping the exterior and interiors of the building. 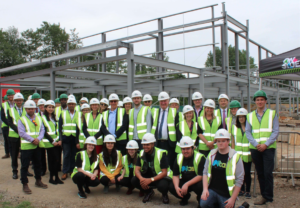 The building work commenced this year 2018 as has been a very busy year so far for the Youth Zones with various developments with the Youth Zone. 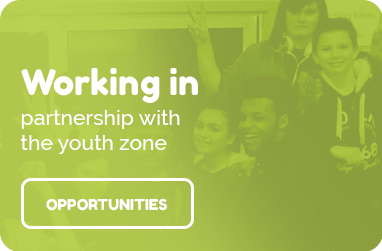 There are still opportunities to get involved in the Youth Zone before it opens. 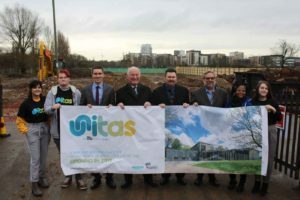 Young People will get the chance to promote Unitas, get involved in community fundraising, visit and meet other members of existing youth zones. To find out more about the existing OnSide Youth Zones, click here. OnSide Youth Zones give young people a platform to explore and reach their potentials and are always open for groups of young people to visit the network of existing OnSide Youth Zones. So, if this sounds like something you will be interested in, please get in touch by emailing Mark.Blundell@OnSideYouthZones.org .